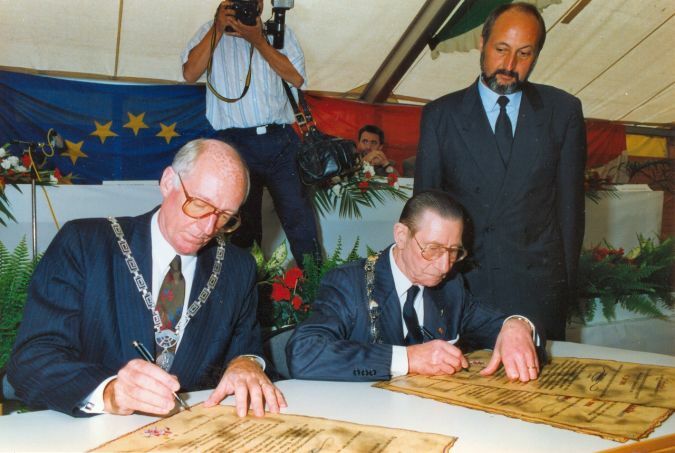 In 1991, both executive councils of the municipalities of Kerkrade and Herzogerath signed a declaration of intent expressing a wish to intensify cross-border cooperation in all areas where this was deemed meaningful and plausible. Underpinning this cooperation was a previously drafted intrinsic spatial-economic plan, produced jointly by a German and Dutch consultancy. 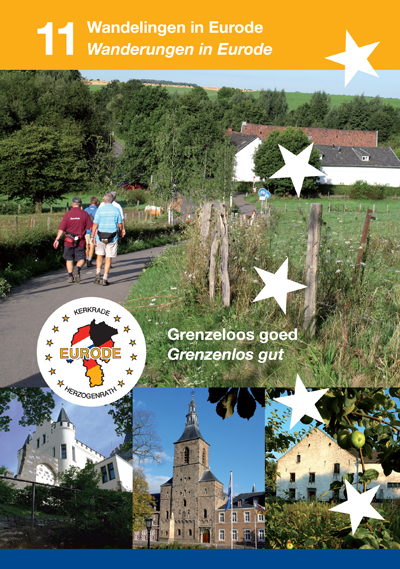 For many years, this intrinsic plan served as a guide for cross-border cooperation by both towns, to such an extent that the plan was considered the Vade Mecum. The plan comprised a project programme incorporating seven project modules. Many of the projects in the original plan have since been effectuated, to which specific attention had already been paid (Neustraβe/Nieuwstraat) or will be paid in the future. From 1992 to 1997, the first cross-border talks were held between leaders of the two town councils. Day-to-day matters were dealt with by the executive bodies. As a rule, these would be attended by both mayors and both chief clerks. In addition to these, regular meetings were held by the Eurode Committee, sat on by council appointed advisers and party-political leaders from both town councils. And whilst cooperation was highly effective, it was still informal in nature, hampering contact with higher official bodies considerably, such as the respective provincial and federal authorities in the Netherlands and Germany, let alone the national governments and the European Union. The Treaty of Anholt finally offered parties in Eurode some kind of platform on which to enter into a partnership based on public law. The necessary groundwork for this was carried out in the course of 1997.